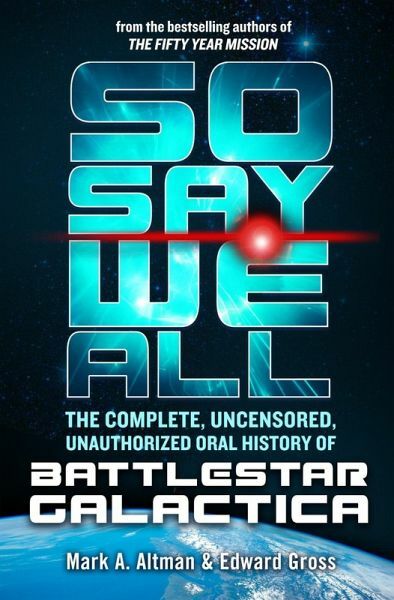 From Mark A. Altman and Edward Gross, the bestselling authors of the definitive two-volume Star Trek oral history, The Fifty-Year Mission , comes the complete, uncensored, unauthorized oral history of Battlestar Galactica in So Say We All . 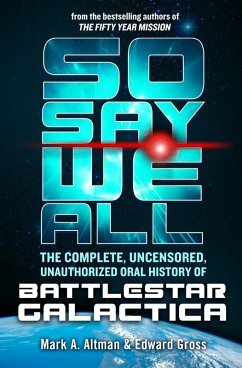 Four decades after its groundbreaking debut, Battlestar Galactica-both the 1978 original and its 2004 reimagining have captured the hearts of two generations of fans. What began as a three-hour made for TV movie inspired by the blockbuster success of Star Wars followed by a single season of legendary episodes, was transformed into one of the most critically acclaimed and beloved series in television history. And gathered exclusively in this volume are the incredible untold stories of both shows-as well as the much-maligned Galactica 1980.